Why post classified ads on VIP Ads Online ? The answer is simple: to promote your products or services? We are the home of the #classifieds. Online classified advertisements have become more and more popular over recent years, both companies and individuals post ads. Free Online Advertising has become one of the main marketong channels. Classified ads are text and image based advertisements used to promote/sell a product or service. A classified ad can be as little as a phone number or a full description of your product. Classified ads originated in newspapers and magazines but are now around online. Online classified ads have a much larger reach. Online, classified advertisement has become more popular than newspaper and magazines classified ads. Local newspapers, magazines are seen only by a few. It all depends on the circulation. Online classifieds can be seen by millions all over the world. On line Classified ads have a huge advantage over newspaper or magazine classifieds, it allows you to interact safely with the seller or buyer and even share the ads. When you post your classified ad with VIPadsOnline, it is seen all over the world. Classified ads for, smartphones, computers, cars, jobs, real estate, and everything else. Find what you are looking for or create your own ad. Why Pay for a classified ad? 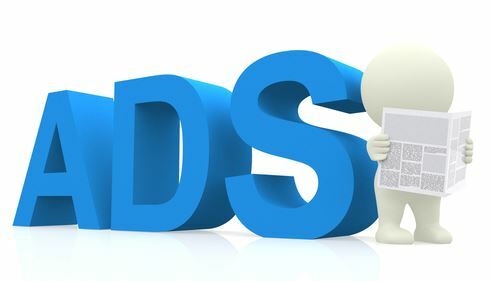 Paid classifieds have a much larger reach since the ad content and images have a higher chance of showing on the major search engines. They are not hidden among thousands of other classified ads. With VIP ad sonline, you have the extra advantage of linking your ad to your favorite social media Portal.